The Alberta economy has suffered for several years with the energy industry continues facing challenges. However, the M&A market is active. On one side, merging with a related company, combining resources and expertise is a surviving strategy; on the other side, it is a good time to buy a company at a reasonable price. At the request of its members, CCCA invites professionals and experts in M&A to share the best practice in M&A, potential risks and ways to mitigate the risks. Thanks to Dentons’ sponsorship for the venue and light meal. CCCA Business Member: free (limit 1). Please contact us at info@ccca88.ca to confirm your membership status and acquire ticket. Quantity limited, first come first serve. CCCA General Member: $20 (limit 1). Please contact us at info@ccca88.ca to confirm your membership status and acquire payment method/discount code. Quantity limited, first come first serve. Welcome joining CCCA to receive member benefits. Please email: treasurer@ccca88.ca to provide detail information (name and email) for ticket issuing. Connie found Ping Financial Consulting Firm in 2017. Her firm specializes in providing M&A transaction services, CFO corporate finance services and special project management services to small to medium companies. 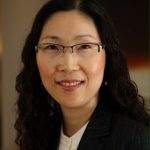 Before starting her own consulting firm, Connie had a 22-year progressive career in Royal Dutch Shell Group and later served as CFO and VP of Administration in a publicly listed company based in Calgary. She has accumulated a wealth of knowledge and experience in Merger & Acquisition (M&A) and commercial finance, JV finance, accounting and reporting, governance and risk management, contract and procurement, planning and budgeting, credit management, system implementation (SAP) and change management. During her 22-year career in Shell, Connie spent 7 years in its global M&A department based in China and Canada. She has worked in a number of acquisition, divestment and joint venture projects, with first hand experience in deal structuring, due diligence, financial modelling and valuation, deal completion and post deal integration. Connie obtained Master Degree of Strategic Business Management from Manchester Metropolitan University. She is a seasoned member of Chartered Institute of Management Accountant (CIMA) and Chartered Global Management Accountant (CGMA). George’s practice centers on mergers and acquisitions, securities, corporate finance and corporate/commercial transactions, primarily in the energy and technology sectors. George also has extensive experience advising technology companies having successfully negotiated complex licensing contracts, service agreements and software development agreements domestically and internationally with numerous multinational original equipment manufacturers, telecommunications companies and software companies. George has experience in structuring and negotiating international commercial transactions, advising a number of Canadian-based clients on transactions in Asia, and with Asian-based clients pursuing investments and business opportunities in Canada. George has served as a director and a corporate secretary on a number of TSX and TSXV listed oil and gas companies, oil and gas service companies and technology companies. Prior to joining Dentons as a partner, George was the financial managing partner of a Calgary-based mid-sized law firm. George held several leadership roles including Chief Operating Officer of a NASDAQ software company where he was responsible for operations of seven offices worldwide (four of which were in Asia) and subsequently appointed as Chairman of the Board. He was also the Co-Founder and Vice-President of a TSX listed venture capital mutual fund, advising the board of directors on investments in biotech companies, healthcare companies and software companies. Michael Deng is Managing Director of Oil and Gas with GMP FirstEnergy, a preeminent energy focused investment bank. Michael works between Beijing and Calgary, and is responsible for covering the Chinese market. Michael has 20-year experience in various areas including accounting, auditing, international tax, equity research and investment banking. He started his career in Calgary at PricewaterhouseCoopers in the audit and tax groups. 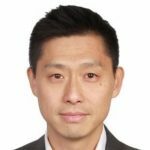 He joined Canaccord Genuity, a large Canadian independent investment bank, in 2003, as an Equity Research Associate covering mid cap high dividend oil and gas companies. He later started to focus on Chinese clients as a Research Analyst covering Canadian and US listed Chinese companies, until transferring to Canaccord’s Beijing office in 2011 to head the oil and gas business. In January 2014 Michael and some partners started GMP’s office in Beijing and Hong Kong. He has been mostly focused on outbound investment from China and cross border M&A transactions. Michael has an MBA from University of Alberta and Bachelor Degree from Shanghai Jiaotong University. He holds the Chartered Professional Accountant designation.